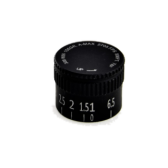 .The super-smooth magnification ring, with rear facing numbers easily allows you to zoom from low to high power. This ultra-versatile 5x zoom 3-15x42 TORIC UHD is engineered for the hunter who needs the very best whether hunting in the hardwoods or over a long range bean field. 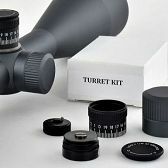 It features TRACT’s advanced Ultra High Definition optical system comprising of Fully Multi-Coated SCHOTT HT (high transmission) glass throughout the entire scope providing sharp, bright images with superior light transmission of any scope in this class. The ED (Extra Low Dispersion) lens helps eliminate chromatic aberration and increases contrast especially at the higher powers. I recently purchased a Toric 3-15 scope to use on a Weatherby 25-06. Sighting in was very easy (5) shots with the last three being a 1/2” group. I have 2 Tekoa scopes on other rifles with about the same results. Scopes are very clear with precise adjustments. I will be ordering another Toric scope soon as a replacement. I cannot say enough great things about the optics and service. I recently purchased a 6.5 Creedmoor rifle and needed a scope. 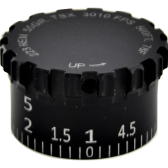 With so many scopes nowadays it can be a difficult choice to find a good scope at a good price. After a lot of research, Tract Optics looked like a good solid product. I am fortunate in that I live half an hour from the warehouse in Hummelstown, PA. so I went and checked out the scope in person. The people there were really helpful and let me have a look at all the Tract products they had on hand. At that point I was sold. Several weeks later I went back and purchased a Toric 3-15x42 T Plex and rings. I mounted the scope and bore sighted it. Surprisingly when I bore sighted the Toric, I saw that it was very close to being dead on. The fun came when I got to the range and the first shot was low right by 3 inches. Perfect tracking put me in the bull in 2 shots. Glass clarity was awesome edge to edge. The side focus seems to coincide with yardage. At this point I am extremely satisfied with my purchase. The sniper gray even looks good on the Tikka tactical rifle. Thanks for a super riflescope. 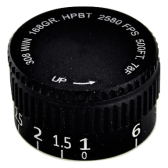 Depending on the conditions you are hunting in, the 50mm Objective will gather more light than the 42mm objective. This is especially helpful in the first few and last few minutes of shooting light. 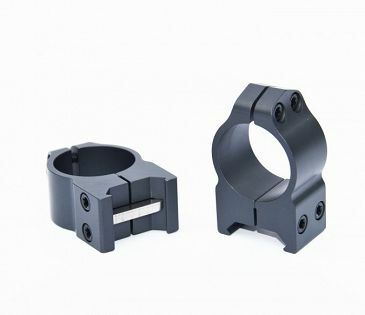 The trade off is that the 50mm requires high mounts which positions the scope higher off the receiver than the 42mm and does not provide as good a cheek weld (which is very important for accurate shooting). 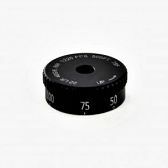 The 50mm will provide the greatest benefit if you are shooting longer ranges in extremely low light conditions. If you are not shooting in extremely low light at long range the 42mm will do everything you need it to.